The opener “Immortal” starts with the epics of Running Wild and then steps into the atmosphere of Primal Fear. The voice of Nick Night strongly reminds of Ralf Scheepers. The band definitely is influenced by the German metal stage. And in this well-known field goes the second song “In the Night”. In the third track we see through the principle of above mentioned influences – Judas Priest. In the fourth song things become softer – something like Edguy, Sinner. If Accept decide to make rock ‘n’ roll album it will sound like this fifth track “Electric” in the current album of Dream Evil. The sixth piece returns us to the heavy metal atmosphere of the German school (Primal Fear, Sinner). “Frostbite” is a fast minor song. The next track “On the Wind” goes in the same direction. Awesome vocals and excellent guitar work! In “The Ballad” there is something typically Swedish – the piano. It reminds of HammerFall. The song “Mean Machine” is my favourite in this album. The next two tracks are more epical. Unfortunately they are in one and the same tonality. The last song “The Unchosen One” is easy for listening and gives a logical end of this enjoyable music. The songs of Dream Evil are built in a standard way - strong couplets and melodic choruses: couplet, chorus, couplet, chorus, solo, chorus, and chorus again. But this structure is similar to the pop music, and in a moment it becomes monotonous. As in their previous albums Dream Evil remain the same – I could not see their development here. There is a lack of originality. The guitar work is magnificent. The riffs are colossal. This is a good album, but it is not enough metal. Musically the CD is great and the sound is recommendable. 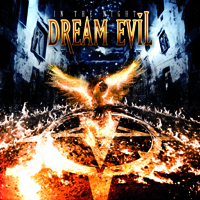 If you need a dose of melodic hard rock with metal touches, then Dream Evil’s album “In the Night” is exactly what you seek!